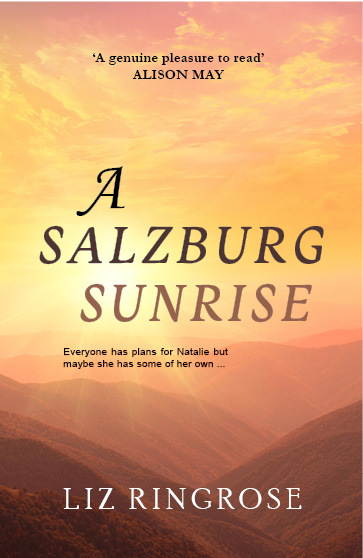 When Natalie Grey goes on holiday to Austria with her bossy friend, Glenda, her life is in a mess. Husband Adam has left her to live with a quantity surveyor (what is one of those?) called Sigourney; her parents are secretive and her grandmother’s health is weakening. Only her young half-brother, Toby, can make her smile. 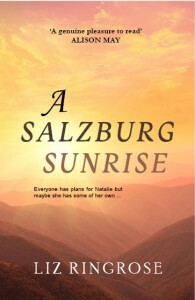 But arriving in Salzburg she meets flirty American, Connor, who restores her shattered ego. Despite an encounter with an unhelpful local man and Glenda’s regimented itinerary Natalie believes the city is working a charm on her. Local music teacher Leo Meier is in no mood for pleasantries. Grieving for his young wife he is dismissive of the two young English women who ask for his help in Salzburg. But the next day a call from a long-ago girlfriend opens up Leo’s life in a way he never thought possible. Back home in England Natalie is desperate to return to Salzburg and emailing Connor makes her feel closer to the city. Everyone has an opinion about her future but then life deals her another blow and she listens to her own heart. When Natalie and Leo meet they both have exciting discoveries to make but before they can be truly happy they each have a ghost to lay. Can Salzburg work its charm again …? Kirsty is living the dream in the Austrian city of Salzburg working as a Sound of Music tour guide. She and Anton, the coach driver, are a good team until the day Mike Hayes, a surly young Englishman, takes the tour. Is Mike Unhappy or just unfriendly? Kirsty wants to find out; but in doing so she is drawn into a mystery that means she must confront her romantic feelings both past and present.